Private Penpal Relationship Between Obama and Mrs. Clinton Revealed – Superb Internet Blog - Delivering 360° Hosting Experiences – and blogging about it! Former President Bill Clinton was such a lecherous, extramaritally inclined man that he was almost thrown out of office for trying to cover the tracks of his infidelities. Just as it was compelling for Bill to conduct clandestine liaisons in the Oval Office, now his wife Hillary faces an investigation about the mysterious penpal relationship she shared with Barack Obama while she was the Secretary of State – a relationship the privacy of which has not been seen in the United States executive branch since Margaret Thatcher and Ronald Reagan convened at a secret treehouse in 1983. The real issue with the communications between Obama and Hillary Clinton is that they interacted through her private email account, which was confirmed by the White House on March 9. The president’s press secretary said Obama was unaware Clinton was using her own email server disconnected from the federal infrastructure. Although the president had told a reporter on Sunday (the 8th) that he did not know about the Clinton server until he read about it in the news, White House spokesman Josh Earnest told press on the 9th that Obama had emailed Clinton at the address tied to her personally owned domain, clintonemail.com. “But he was not aware of the details of how that email address and that server had been set up, or how Secretary Clinton and her team were planning to comply with the Federal Records Act,” Earnest explained to White House correspondents. Earnest said that the scope of their email interaction was relatively small, and that the two prominent governmental players hadn’t talked about the potential legal ramifications of diverting official state email to a private system. The press secretary seemed to be trying to push Hillary Clinton and the State Department under the bus, pointing out that the president’s email (in contrast) was kept in strict adherence with record-keeping legislation. “It is the responsibility of individual agencies to establish an email system and to make sure those emails as created are properly recorded and maintained,” said Earnest, as quoted by The Guardian. There is growing consensus among American policymakers and the general public that Clinton should provide clear reasons for her choice to forego a federal email account throughout her four years as the nation’s top international relations official. Members of the press have also argued that Clinton should transfer 100% of her formal messages (with the possible exception of classified content) to the public domain. Politico reported on Monday, citing three sources close to Clinton, that the 2016 Democratic presidential hopeful would be making an announcement about the emails in the near future. The State Department announced previously that the former first lady’s personal assistants have submitted hard copies of her communications totalling more than 50,000 pages. No indication has been made regarding whether the messages sent to the State Department represent all emails or not. In an article posted Friday the 6th, Politico wrote that major White House personnel have known since August that Clinton’s private email server was under investigation by congress. Eyebrows are raised toward the president, who attempted to distance himself from the investigation on Sunday by telling CBS that he found out about the server from the news. Earnest said that Obama was probably aware that he was not emailing to Clinton at an official State.gov account. “I assume that he did recognize the email address if he was emailing back to her,” Earnest offered. Trey Gowdy – the House of Representatives Republican who is directing the current investigation into the fatal strike in Benghazi, Libya, that took the lives of US Ambassador to Libya J. Christopher Stevens and US Foreign Service officer Sean Smith – announced that he had found substantial spans of time with no corresponding emails, at least not in the batch initially released by the State Department. Nudging the problem with a ten-foot pole, Earnest said that the White House was not going to interfere with the situation and that Gowdy should interact with the leadership at the State Department, or that he would tell the teacher. The press secretary said he did not think Gowdy’s concern that some emails were not disclosed was well-founded but that it was up to Clinton and her aides to prove that everything had been included. Clinton avoided discussing the secretary of state email scandal during a presentation for her feminist initiative No Ceilings, which was held Monday at the Clinton Foundation. 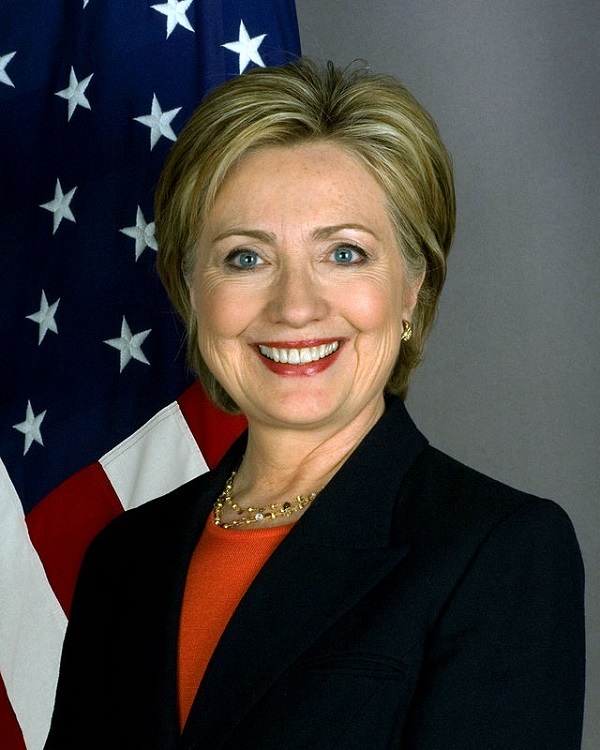 Clinton, expected by many to become the 2016 presidential nominee for the Democratic Party after failing to trump Barack Obama in 2008, “said there had never been a better time in history to be born female, but many gaps remained in the educational and economic opportunities for women and girls,” per The Guardian. The controversy over Clinton’s technological presence is focused on her potential noncompliance with United States law that demands federal officials keep all their formal correspondence, including email. It has bothered people that Clinton was using a private email server because many consider it irresponsible in terms of proper maintenance of official state data. Certainly there is a rogue quality to someone using their own communication system rather than the government’s when they are in a high-level position; and any time someone steps outside a standard infrastructure, they should be held accountable for data privacy and security. At Superb, we keep everything fully transparent from both a financial and technical standpoint, with regular certification for compliance with SSAE 16, Type II.